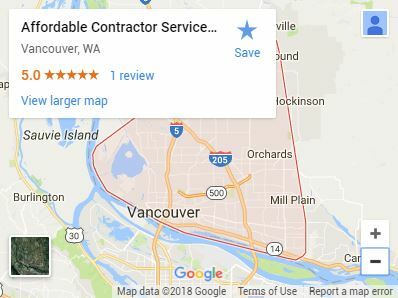 Whether you’re getting tired of your old fence or you’re looking for a renewed sense of seclusion, Affordable Contractor Services, LLC is ready to bring a quality fence to your property line. Hand-crafted wood, ornamental iron, composite, chain-link fencing. Custom gate and entryways that blend in beautifully with your fence. Retouch, repair and restoration services available for any fence type. Staining, color and finishing options to match fence to home. 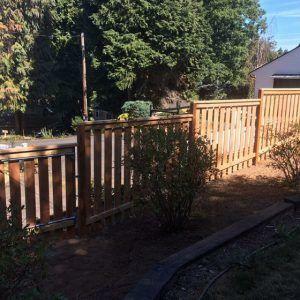 Our team deals with every type of fence, but as a company built on over 25 years of solid carpentry experience, it’s no surprise that we tend to favor wood fences just a little bit more than the other options. Here’s why. 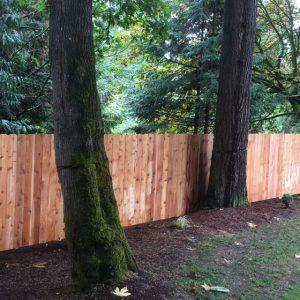 Because of the privacy they offer and an easy-going look that works with just about any kind of home, cedar fences are a common choice for many homeowners. And with sturdy galvanized metal posts, a strong wooden fence can stand up to wind for 30 years or more. Not only are wood fences generally more affordable than others, but because they’re priced by linear foot, that makes estimates quick and easy. And if you’re wondering what the most expensive fencing option is? Most of the time, distinct iron or hybrid fences tend to be the priciest options. One of the things that makes wood fences such an attractive option is that they work well with almost any home. Between the multitude of creative staining and carpentry options available, wood fences are by far the most versatile. Just like a new set of windows should blend in harmoniously with your interior, a new fence should fit in naturally with the rest of your property. Especially for residents of a forested area like Vancouver, wood fences tend to fit right in with the surroundings. While most iron, composite or chain-link fences all bring some degree of privacy, wood fences tend to offer the most backyard seclusion. Additionally, because of their simplicity of construction, homeowners get to determine exactly how much privacy and visibility they’d like to maintain. Understandably, coordinating a fence build may seem like a bit of a challenge. But our team does everything it can to make the process as easy, financially painless, and surprise-free as possible. In most cases, the fences we build don’t take more than a few days and some homeowners hardly even know we’re there. So wait no longer to retire that old fence of yours. Fight fence fatigue by refreshing your property with a modern, hand-built, wooden option crafted by our team of local carpenters. ACS is a fully licensed and bonded remodeling contractor and fencing specialist. And we are always eager to come talk fences with homeowners in the Vancouver, Washington area. For every fence we build, we strive for 100% customer satisfaction with both the final product and the building experience. Everybody on our team works as fast as they can to get your fence done right and we always aim to stand by our original estimates. If your fence seems a bit past its prime, call us today to talk about how a new fence can benefit your home or property.